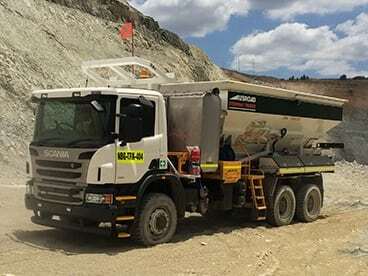 Ausroad® manufactures a range of Stemming Trucks that improve the safety, efficiency and accuracy of the stemming process while reducing costs across varying mining operations. Much of the research and development of our machines has been done in collaboration with major mining and resources companies to ensure Ausroad® vehicles are tailor-made for Australian conditions. Our machines range in size from 1.5m3 remote control Contour Loaders to 16.5m3 Heavy Stemming Units. Ausroad® Stemming Trucks™ have the largest range of payload capacities in the world and our industry-leading design means faster hole-filling and less downtime. We’ve partnered with major truck manufacturers to integrate our machines with off-road truck chassis to create a seamless operation. With manufacturing based in Brisbane, Queensland and representation in Perth, Western Australia, Ausroad® has the scale and experience to deliver reliable contracting services, backup service, parts and training. Because we build and design our own product, we can quote a delivery date with confidence. Thanks to Ausroad® Stemming Trucks™, a single operator can automate the process of delivering stemming material to the blast hole at the top of an explosive charge with precision. We have successfully “industrialised” the stemming process by making it less manual and more safe, efficient and accurate. Ausroad® Stemming Trucks allow blast holes to be back-filled or “stemmed” quickly and efficiently. These industry leading machines have revolutionised the stemming process in open cut mines, resulting in improved safety and significant savings in materials, time and labour. 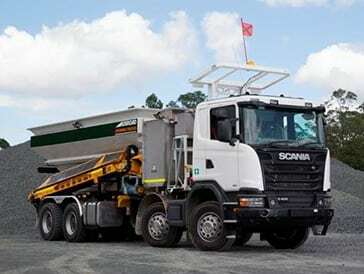 AUSROAD Stemming Trucks™are proven to reduce misfires and increase productivity, safety and accuracy. The Ausroad Stemming Contour Loader represents the first vehicle of its kind in the world. 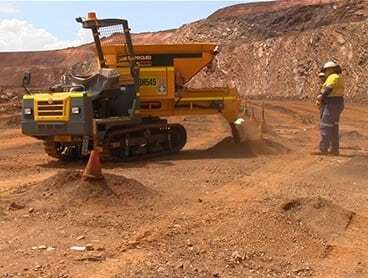 It’s a purpose-built, radio-control, track-based vehicle that has made stemming across hilly and contoured surfaces safer and more efficient. The rubber, track-based unit allows for maximum stability and all-terrain agility, while radio-control allows the operator to keep at a safe distance. Ausroad® Drills, Support and Service Trucks are reliable and robust vehicles designed for general civil and mining applications. With a 15,000 litre water capacity and 4000 litre diesel capacity, Ausroad® vehicles are built for productivity and reduced movement on the shot. We can tailor-build units to suit any cab chassis Gross Vehicle Mass (GVM). Our industry leading design optimises reliability and minimises down time. Most processes are fully controlled from the driver’s seat, enhancing safety, efficiency and accuracy. 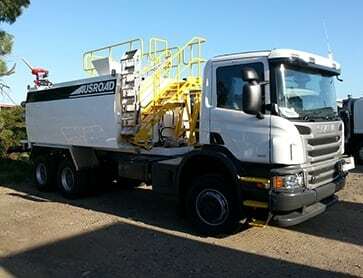 Ausroad’s experience and technical expertise in hiring and contracting Stemming Trucks ensures your experience will be productive and trouble free, our reputation as an expert in the field has developed over many years of building successful relationships with our valued hiring customers. As part of our hiring and contracting service, Ausroad provide the highest quality vehicles, comprehensive training, support and highly qualified operators.